METHOD OF SALE: Halderman Real Estate Services, Inc. (HRES, IN Auct. Lic. #AC69200019) will offer this property at public auction on February 13, 2019. 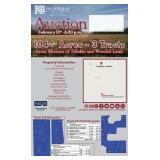 At 6:30 PM, 104 acres, more or less, will be sold at the Wayne Township Fire Department, Kewanna, IN. 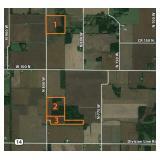 This property will be offered in three tracts as individual units, in combination or as a whole farm. Each bid shall constitute an offer to purchase and the final bid, if accepted by the Sellers, shall constitute a binding contract between the Buyer(s) and the Sellers. The auctioneer will settle any disputes as to bids and his decision will be final. To place a confidential phone, mail or wire bid, please contact Jon Rosen at 260-740-1846; AJ Jordan at 317-697-3086; or Larry Jordan at 765-473-5849, at least two days prior to the sale. 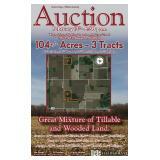 ACREAGE: The acreages listed in this brochure are estimates taken from the county assessor’s records, FSA records and/or aerial photos. SURVEY: The Sellers reserve the right to determine the need for and type of survey provided. If an existing legal description is adequate for title insurance for the tract, no new survey will be completed. If the existing legal description is not sufficient to obtain title insurance, a survey will be completed, the cost of which will be shared 50/50 by the Sellers and the Buyer(s). The Sellers will choose the type of survey to be completed and warrant that it will be sufficient to provide an owner’s title insurance policy for the tract. If a survey is completed, the purchase price for the surveyed tract will be adjusted, up or down, to the exact surveyed acres. The price per acre will be the auction price bid for the tract, divided by the tract acreage estimated in the auction brochure. FARM INCOME: Buyer will receive all the 2019 farm income. DOWN PAYMENT: 10% of the accepted bid down on the day of the auction with the balance due at closing. The down payment must be in the form of personal check, cashier’s check, cash or corporate check. YOUR BIDDING IS NOT CONTINGENT UPON FINANCING. BE SURE YOU HAVE FINANCING ARRANGED, IF NECESSARY, AND ARE CAPABLE OF PAYING CASH AT CLOSING. APPROVAL OF BIDS: The Sellers reserve the right to accept or reject any and all bids. All successful bidders must enter into a purchase agreement the day of the auction, immediately following the conclusion of the bidding. Successful bidders must execute purchase agreements on tracts exactly as they have been bid. DEED: The Sellers will provide a Trustee’s Deed at closing. EVIDENCE OF TITLE: The Sellers will provide an Owner’s Title Insurance Policy to the Buyer(s). Each Buyer is responsible for a Lender’s Policy, if needed. If the title is not marketable, then the purchase agreement(s) are null and void prior to the closing, and the Broker will return the Buyer’s earnest money. CONSERVATION RESERVE PROGRAM: CRP payments will be prorated to the day of deed recording by Cass County FSA, using the fiscal year of October 1 to September 30. The Buyer(s) will receive all responsibility for the maintenance of the CRP land in the future. If the Buyer(s) remove any acres from the CRP contract, that Buyer is solely responsible for repayment of all received payments, interest and penalties. CLOSING: The closing shall be on or before March 29, 2019. The Sellers have the choice to extend this date if necessary. POSSESSION: Possession of the land and buildings will be at closing. REAL ESTATE TAXES: The Sellers will pay real estate taxes for 2018 due 2019. Buyer will be given a credit at closing for the 2018 real estate taxes due 2019 and will pay all taxes beginning with the spring 2019 installment and all taxes thereafter. DITCH ASSESSMENTS: Buyer(s) will pay the 2019 ditch assessment and all assessments thereafter. MINERAL RIGHTS: All mineral rights owned by the Sellers will be conveyed to the Buyer(s). PROPERTY INSPECTION: Each potential Bidder is responsible for conducting, at their own risk, their own independent inspections, investigation, inquiries and due diligence concerning the property. Further, Sellers disclaim any and all responsibility for bidder’s safety during any physical inspections of the property. No party shall be deemed to be invited to the property by HRES or the Sellers. AGENCY: Halderman Real Estate Services Inc., Russell D. Harmeyer, Auctioneer, and their representatives, are exclusive agents of the Sellers. DISCLAIMER: All information contained in this brochure and all related materials are subject to the Terms and Conditions outlined in the purchase agreement. This information is subject to verification by all parties relying upon it. No liability for its accuracy, errors or omissions is assumed by the Sellers or HRES. All sketches and dimensions in this brochure are approximate. ANNOUNCEMENTS MADE BY HRES AND/OR THEIR AUCTIONEER AT THE AUCTION DURING THE TIME OF THE SALE TAKE PRECEDENCE OVER ANY PREVIOUSLY PRINTED MATERIALS OR ANY OTHER ORAL STATEMENTS MADE. The property is being sold on an “AS IS, WHERE IS” basis, and no warranty or representation, either express or implied, concerning the property is made by the Sellers or HRES. Each prospective bidder is responsible for conducting his/her independent inspections, investigations, inquiries and due diligence concerning the property. Except for any express warranties set forth in the sale documents, Buyer(s) accepts the property “AS IS,” and Buyer(s) assumes all risks thereof and acknowledges that in consideration of the other provisions contained in the sale documents, Sellers and HRES make no warranty or representation, express or implied or arising by operation of law, including any warranty for merchantability or fitness for a particular purpose of the property, or any part thereof, and in no event shall the Sellers or HRES be liable for any consequential damages. Conduction of the auction and increments of bidding are at the direction and discretion of HRES and/or the auctioneer. The Sellers and HRES reserve the right to preclude any person from bidding if there is any question as to the person’s credentials, fitness, etc. All decisions of HRES and/or the auctioneer are final. School System Caston School Corp.